Estate 1856 wines now available for tasting at Cellars of Sonoma! After six vintages and countless hours spent daydreaming about it, we are thrilled to announce that we finally have a tasting room! Our Bordeaux-style varietals are now available for tasting at Cellars of Sonoma, a cooperative tasting room in our charming hometown of Healdsburg, CA. Located downtown, just off the plaza, Cellars of Sonoma features wines from a handful of small, high-end, family wineries. Prior to this, our small-production wines were only available online, making it impossible to meet our customers’ requests to taste the wine. 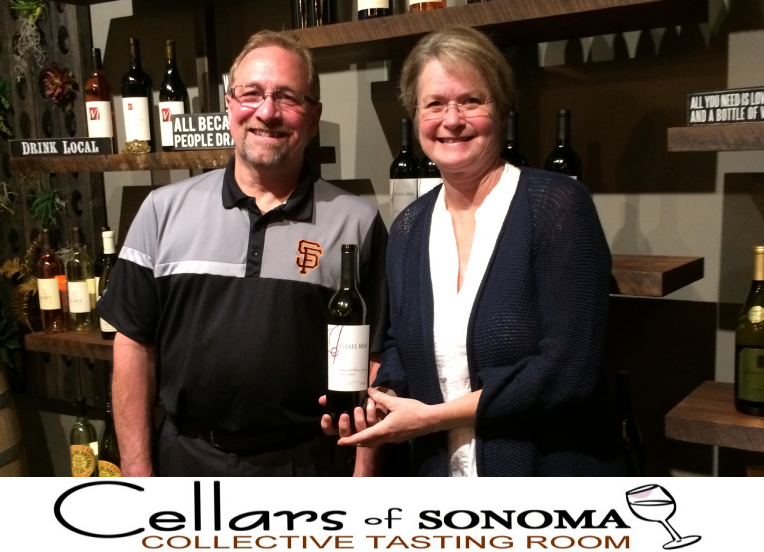 Cellars of Sonoma now provides an opportunity for you to get to know our wines in a friendly and inviting atmosphere. Cellars of Sonoma is located at 20 Matheson Street in Healdsburg, open daily from 11:00 a.m. to 6:00 p.m. This is an exciting time for the winery and we’re so happy to share this news with you. We look forward to raising a glass of Estate 1856 with you soon! We will be checking out the new tasting room tomorrow afternoon 5/28. Exciting times!